Subscribe to: Post Comments (Atom) is the link for subscribing the atom feeds from the blog posts. It generally comes under the each and every blog post. It is consumes some space under each and every post and it is not relevant for the blogs much. You can follow the below method to remove / hide this Subscribe to: Post Comments (Atom) link. 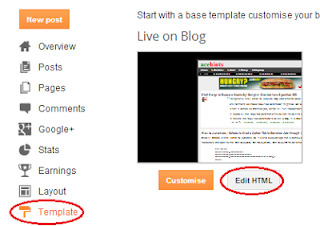 There is a change in the new blogger interface is that you cannot see the Expand Widget Template. Instead of that you can see a Jump to widget button. 2. Click on Jump to widget button and select one widget from the list. 3. Search for following by pressing CTRL+F button and comment out or remove those lines from the editor. Then save the template. You are done with the changes. Really very simple and effective to remove that text link.